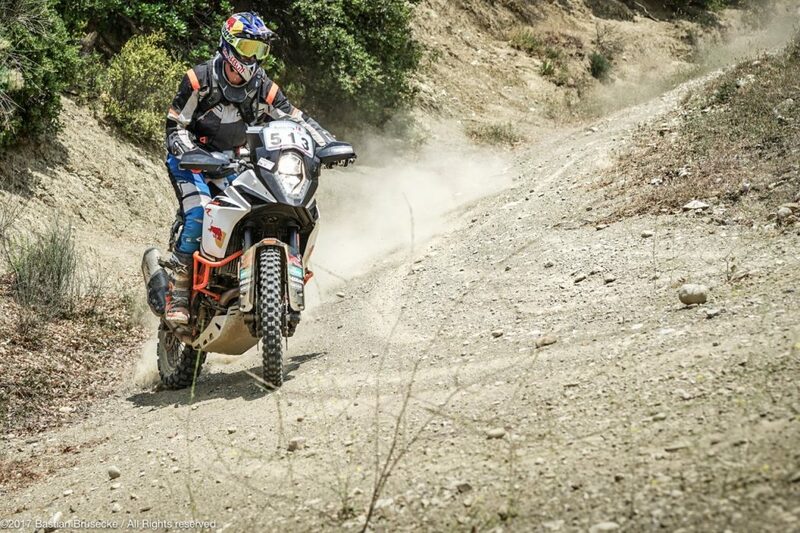 Pushing just how far you can take an adventure bike can take a lot of effort but the Hellas Rally offers plenty of rewards. Adventure bikes are the ‘go anywhere’ bikes of the motorcycle world. We know this and that’s why we enjoy them so much. The KTM 1090 ADVENTURE R, above every other, thrives as much on mountain roads as it does on mountain trails – truly it is the ‘go anywhere’, dual-sport adventure bike. For many riders it’s not enough to have the bike capable of going anywhere, they have to actually prove to themselves their bikes as much as themselves are capable. These riders want the adventure, they want the perfect riding, they want the elements of navigation, the challenges and the rewards that only comes with an epic ride. If that’s you the Hellas Rally in Greece should be on your bucket list. 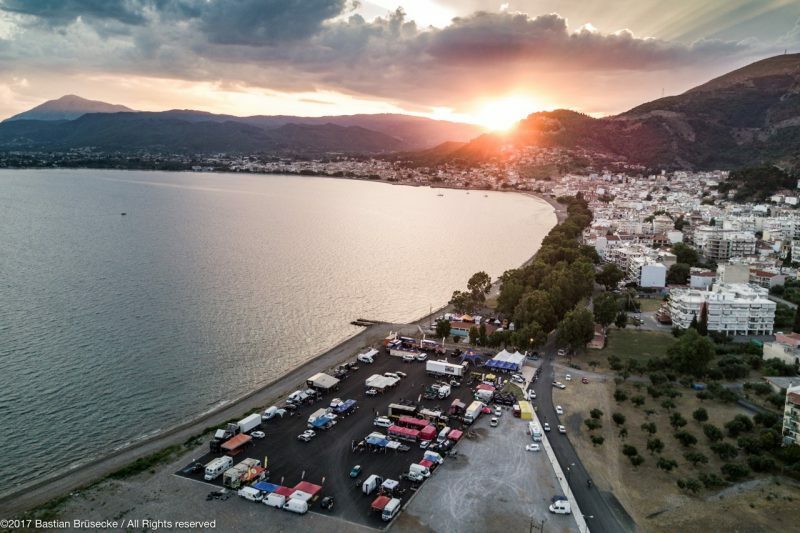 Based in stunning mainland Greece, the Hellas Rally is an event for all-comers from professional rally racers like Gerard Farres to novice ‘racers’ looking to broaden their horizons. With endless tracks and trails ranging through damp forests, rocky desert-like conditions, open pasture, beautiful loamy wooded hillsides, splashing through crystal clear mountain waters, tip-toeing along vertigo-inducing cliff edges, rocky switchback trails which climb above the snow line – the Hellas Rally is everything adventure riding should be every day for seven days. Don’t go thinking this BLOG post is all about racing though. The Hellas is a rally with professional racers heading the field but there are just as many adventure bikes taking part. 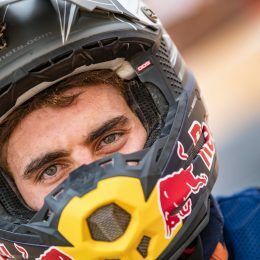 Chris Birch did just that on a KTM 1090 ADVENTURE R and he pulled off a remarkable sixth place overall against the 450 Enduro and Rally machines. Further down the order different classes welcome different bikes and among those a small gaggle of riders are in the Adventure Raid class. With nothing but a GPS to guide them the Hellas Adventure Raid riders are basically free to ride at their own pace with no time limits, no check points and definitely no stress. It gets better: you can follow the GPS route all day if you choose but if the going is too tough, or you fancy a coffee, a bite to eat or even a swim in the crystal clear Gulf of Corinth, you can! For the few riders who followed the whole 2017 Adventure Raid route each day the reward was some of the most incredible riding you could hope for on an adventure bike. The days are long, a typical day is seven or eight hours riding time if you complete the route, most of which is stood up on the footpegs but it is all perfect for the KTM 1090 ADVENTURE R.
Day three of the 2017 Hellas was typical: get to the bivouac for 7:50 am to collect the GPS from the organizers (with the day’s route installed). Set off at 8:05 am for 50 kms of road ride to meet the track “start point” on the GPS. Duck through a storm drain under a motorway, roll onto a rocky single track and switch-back up a mountain for half an hour until you’re one thousand meters high in crisp, morning sunshine. It’s cold enough for heated grips but the view is empty of buildings, people, roads, factories or any civilization. Repeat this up, down and across mountains for seven hours and you have a day at the Hellas. A big part of the Hellas Adventure Raid class is the true adventure of it. The routes take you deep into the mountains and that means you’re away from all creature comforts. As a rider, unless you ride with others, you spend hours at a time without seeing a living soul and there are times when the adventure is very real. Occasionally the odd tortoise is sitting on the track or a deer jumps through the trees, even the odd snake races across the track as a KTM 1090 ADVENTURE R rumbles towards it. At other times, usually closer to villages or hamlets and isolated farms, there are goat and sheep herds flooding the road. The shepherds usually wave but their dogs aren’t quite so amicable. They are mighty things, bred to ward off bears and sure as hell they aren’t afraid of a human on an adventure bike! You are not totally isolated though. Hellas regulations means riders carry a transmitter beacon which the organizers trace through the day. There’s medical back-up alongside the main rally too, should anyone need it. But you ride knowing these are remote places and though the back-up is always there, it’s never going to be rapid response like you might be used to at your home. For that reason also it means you must carry water and tools to fix punctures or broken levers. You’re best equipping yourself with the right tools, some spare tubes or tubeless repair kits. 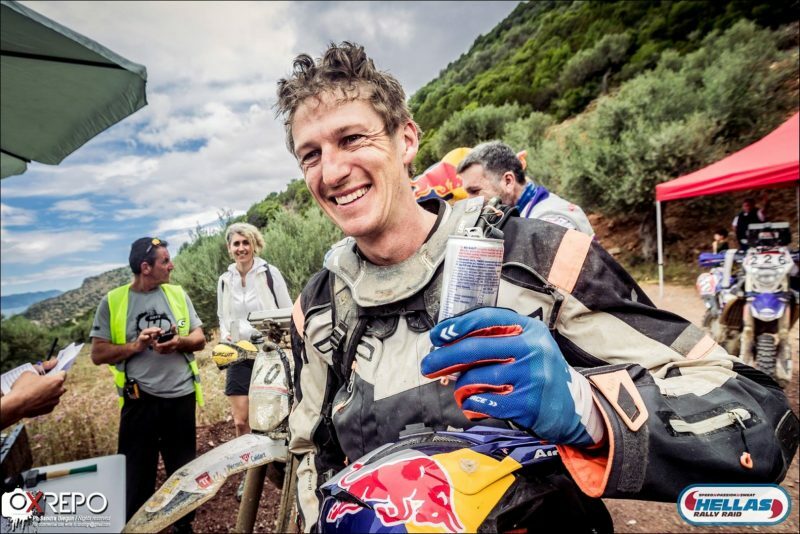 Is the Hellas Rally a true test of your adventure bike? It’s hard to imagine a better one. The KTM 1090 ADVENTURE R was completely in its element, chasing down every hairpin bend like a dog endlessly chasing after a ball. 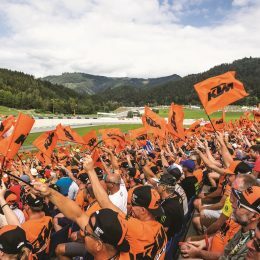 If you have little or no experience (or desire even) to enter a race, this event gives you the chance to sample the noise, the bivouac and above all the riding just without the stress. Lucky the engine cases didn’t leak as the casting has proven flawed on many of the new 1090s necessitating new engines. Porous airbox, engine cases, weak shock bolt, shocks leaking on the new bike too!!?? 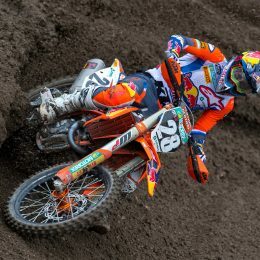 Ktm, please get it together. You are becoming as unreliable as a first company. Incredible! You courage is much appreciated.